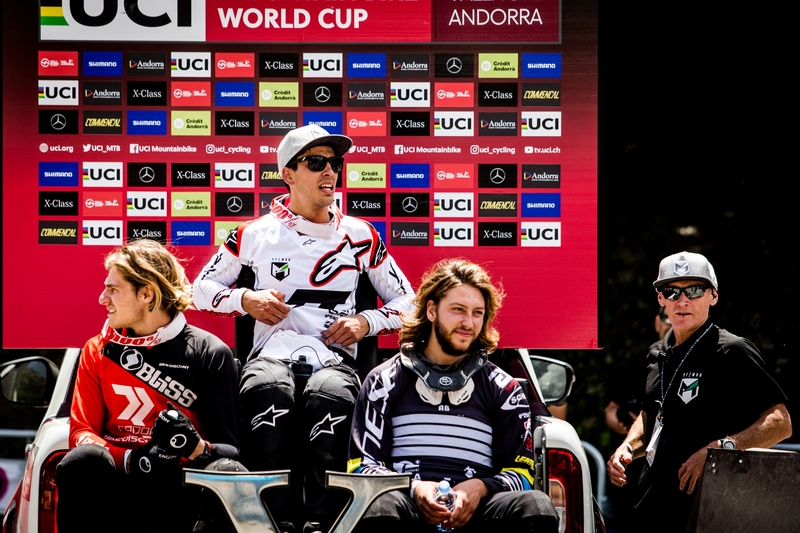 Round 5 of the Mercedes Benz UCI Mountain Bike World Cup arrived in the Pyrenees this week, to the steep and fast track of Vallnord, for the 5th round of the 2018 series. 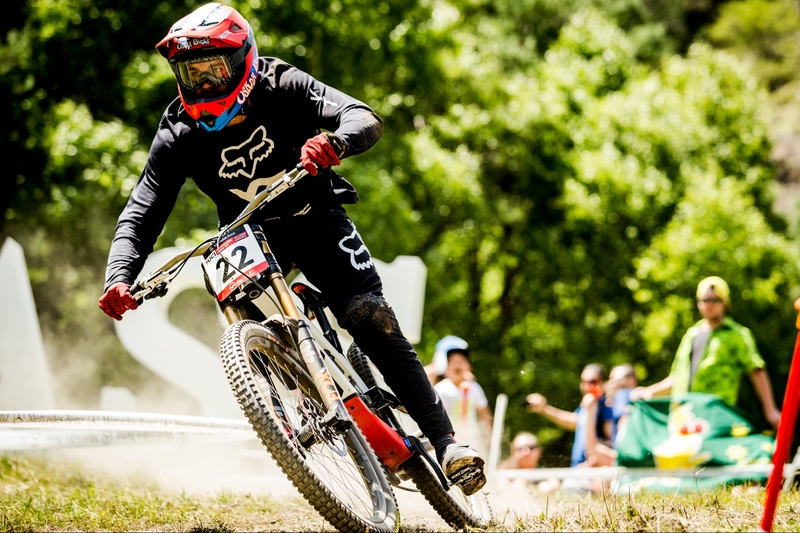 The YT Mob was missing its lead rider, Aaron Gwin, who is busy recovering from his thumb injury back home in California. This meant the team mates Neko Mulally and Angel Suarez were front and center for this week’s event. 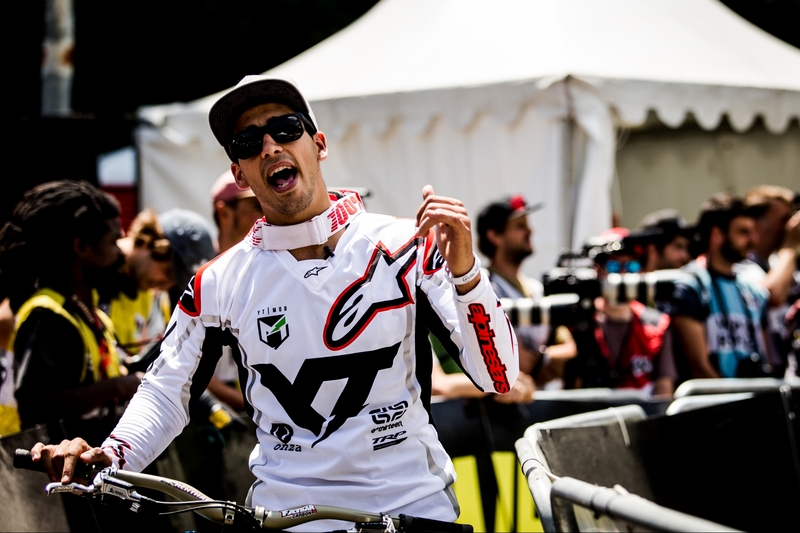 After both qualified solidly in 27th and 28th place yesterday, it came down to a fast and dry track here on Sunday, and for one rider, it was a dream run, and for the other, it was disappointment after a crash late in his run. Angel Suarez, who’s been on the team since the beginning, has fought a hard road back from injuries and surgeries in 2017, to arrive fit and strong for the 2018 season. His campaign got off to a solid start in Croatia with a 26th in qualifying, but since then, luck has not been on his side, until today. Showing green lights all the way down his run, he crossed the line to get into the hotseat with a time of 4m 12.9secs, nearly 3 seconds up on the leader at that point. He sat in the hotseat for close on 45 minutes before eventually finishing a career best 13th place. I’m super happy to finally get it to the line on finals day after having so much bad luck lately, and I’m even happier to have reached a new best result of 13th place! I’ve been working really hard these past months and I feel I was able to demonstrate that today. This sport is amazing! I wouldn’t want to be doing anything else and this weekend I really enjoyed riding my bike and having a great time with the team. Today was great day for sure, but we were missing a big part of the team, and I know Aaron would be proud of this result. Neko Mulally was the next rider to come down after Angel and was on a great run that would have slotted him into the top 20 again, but a fall in the last section of the woods, painfully close to the line, ended those hopes, but he was quick to congratulate his teammate after he crossed the line. Neko heads off to the US National Championships next week in Snowshoe West Virginia where we’ll have our US rig set up, as well as at the US Open in Killington, Vermont, the week before the 6th round of the World Cup, in Mont-Sainte-Anne (CAN).